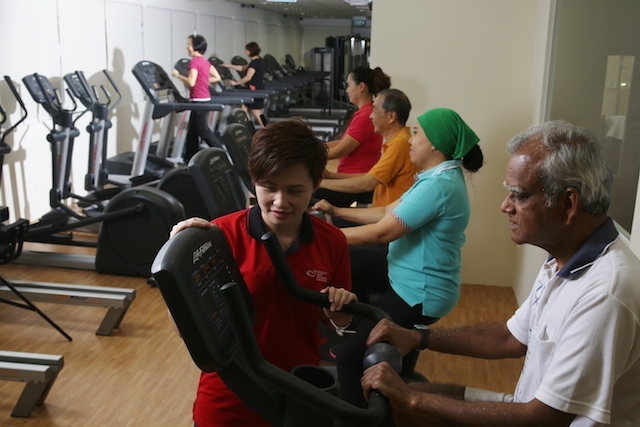 The Singapore Heart Foundation-Life Insurance Association Heart Health Hub is the second community-based cardiac rehabilitation centre. 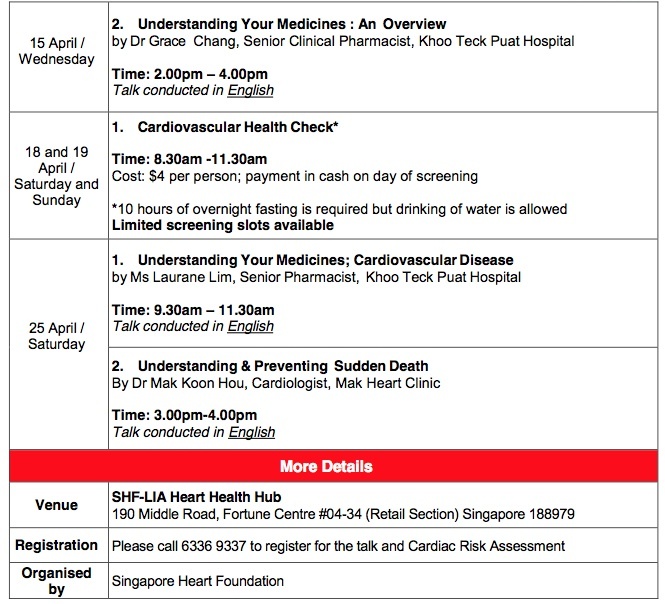 The Singapore Heart Foundation-Life Insurance Association Heart Health Hub (SHF-LIA HHH) celebrates its first anniversary in April 2015 with a slew of complimentary talks and activities for the public. Opened a year ago, the Health Hub at Fortune Centre provides support as well as a cardiac rehabilitation programme to cardiac patients and individuals at risk of heart disease. 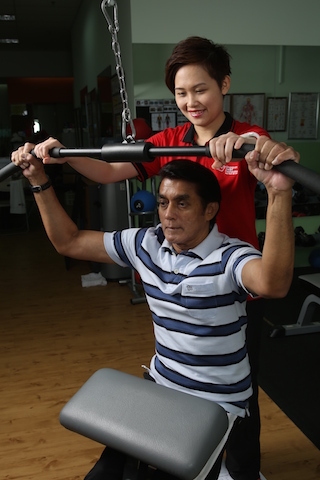 This is SHF’s second community-based cardiac rehabilitation centre after its centre in Bishan Junction 8, Office Tower. 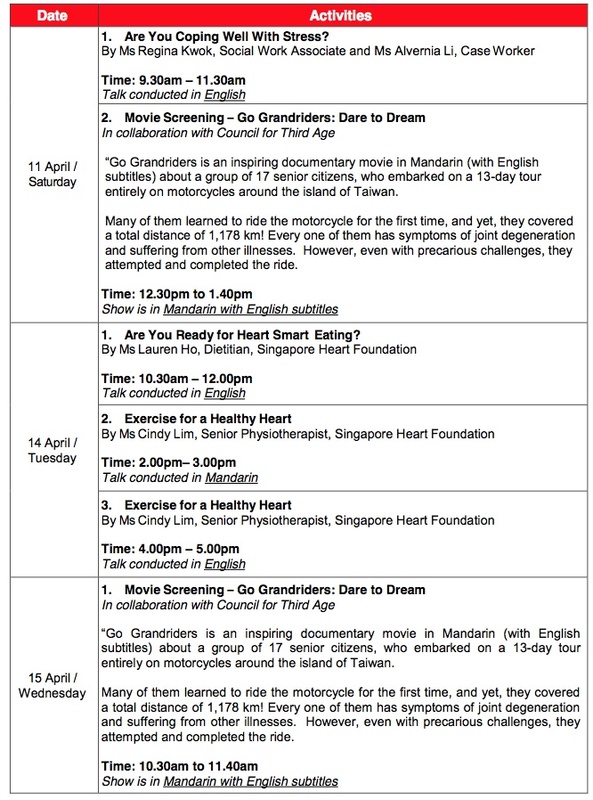 The series of talks, which covers a holistic spectrum of topics such as nutrition, exercise, stress and understanding medication, has been lined up from April 11 to 25 to inform and empower the public to take charge of their heart health. To commemorate the centre's first anniversary, a slew of talks and screenings have been set up. Regular health screenings are important so you take the opportunity to also determine if you are at risk of cardiovascular diseases such as a heart attack and stroke by taking the cardiovascular risk assessment. For a cost of S$4 per person, the assessment will examine factors such as body mass index (BMI), blood pressure, waist circumference, cholesterol and blood glucose (overnight fasting is required), smokerlyser test as well as an obstructive sleep apnoea screening. Pre-registration is required as there are limited slots available for the talks and screenings (refer to the list of activities below for more details). 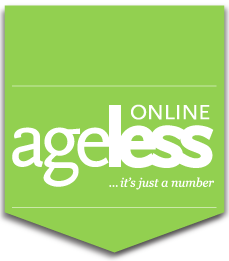 ** There will be an Open House on April 14, 2015 at 9.30am to 5pm at the Health Hub where you will have a better understanding of the multidisciplinary healthcare expertise available there for those at risk and patients with heart problems.